If you’re in charge of organising team building events up North, try something unique and delicious with the popular pizza making team building in Aberdeen. This experience is a tasty way to introduce your team to each other if you’re working with a new team, or is a good way to treat the team after a busy few months. Whatever the case, teams across the UK have been blown away with how enjoyable our pizza making is, making sure everyone gets stuck in with creating their very own pizzas from scratch, and giving all the food a taste test at the end of the creative process. The pizza making team building events are a hugely popular choice for teams across the UK, offering a short, sweet and unique session filled with delicious food, fun games and different competitions to test your employees within an out-of-work environment. Your whole event will be led by your own Pizzaiola Chef, who will be on hand to take you through a few dough tossing demons­tra­tions, and make sure you cook your pizzas to perfection. 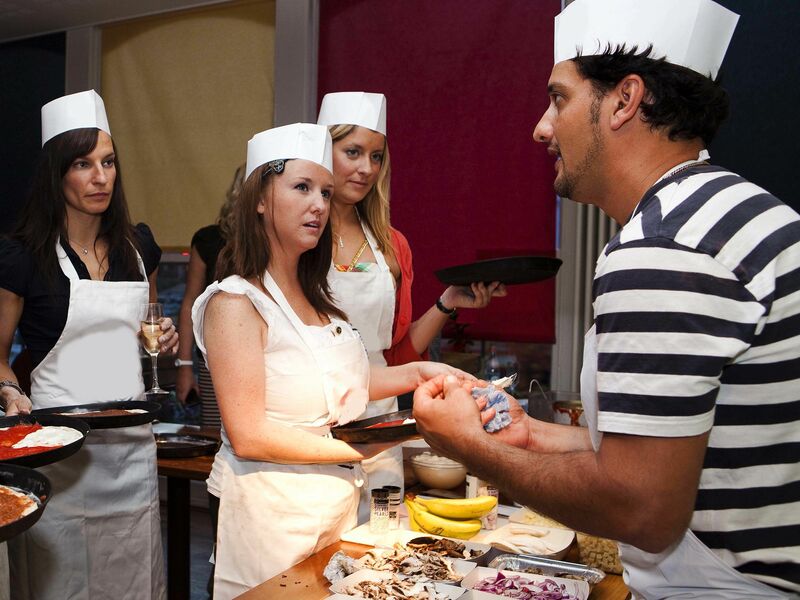 Everyone within your team will have the chance to create their own classic Italian dish, flipping the dough, spreading the tomato base and adding all the toppings they like the look of to their creation. 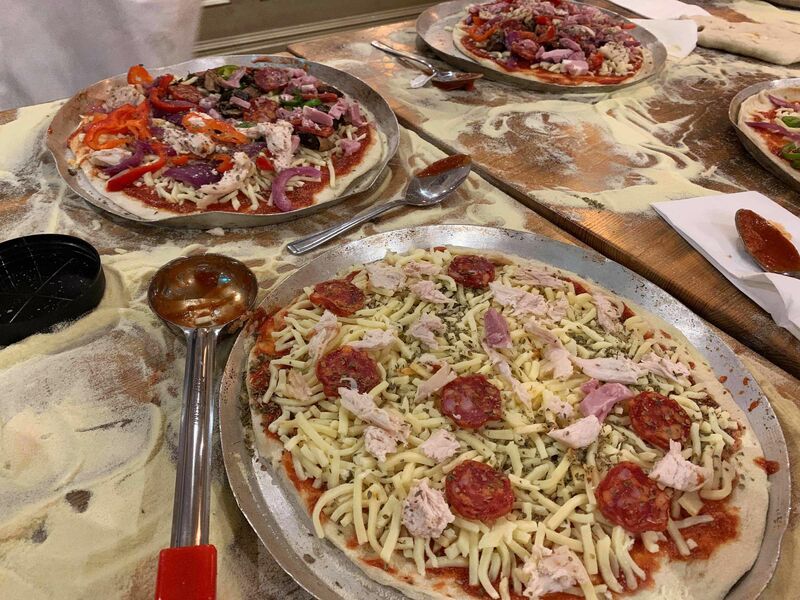 As well as the main event, our pizza making team building activities also gives your team the chance to sit down and really get to know each other in a more relaxed atmosphere than the workplace. Enjoy a glass of Prosecco each, plus a few small nibbles and doughballs to wet your appetites before you taste test each other’s pizzas. All of this experience takes place in a relaxed restaurant atmosphere, meaning it’s a fantastic choice whether you want an event to break the ice for a newly formed team, or you’re looking to treat your long-standing team to something fun and different.